(a) The Association shall maintain a Travel Fund, administered by the Board. (b) At the Board’s discretion, a fundraising event (or events) may be held to raise monies for the fund. (c) The Board may, at its discretion, transfer monies from the general fund to the Travel Fund, to a maximum of $5000, or 15% of the general fund, whichever is less, per one year period. (d) All disbursements shall be at the sole discretion of the Board, and monies available do not have to be distributed. (e) The Board shall appoint two (2) members to the Selection Committee, of whom the Chair of the Selection Committee and at least one other member must be Directors. (f) The Selection Committee shall be appointed in January to consider all applications submitted in the previous calendar year and shall make recommendations to the Board prior to the Board’s regular monthly meetings in February, considering always that no couple shall be granted more than $1500 per year (for a maximum of $500 per event). Applicants may only submit claims for travel undertaken between January 1 and December 31 of the year prior to the application deadline (January 31 of each year). (g) No persons applying for funding, or related within arms length to persons applying for funding, shall be part of the selection process. (h) All applicants shall be notified of the Board’s decisions within thirty days of the grants being decided. (i) All couples applying for funding must be paid-up members for the current year and previous year, and must have competed together within B.C. in at least 3 different DanceSport BC-recognized competitions in the 12 months prior to the date of the subject competition. (j) Each couple must submit a completed Travel Fund Application Form, as set forth in this Appendix, and include a budget for the trip, and keep receipts. Applications may be made prior to or subsequent to a trip. (k) Applicants must travel a minimum of 500 km direct distance from their home address, and compete outside of B.C., to be eligible. (l) Individual Trust Funds must be depleted before a couple may apply for money from the Travel Fund. Any dancer may receive payment for demonstrations, cash sponsorship and scholarships (including prize money), provided that any money received exceeding $1,000.00 must be paid to the Association in trust for said dancer, to be disbursed by the Board for dance-related expenses at the dancer’s request, upon presentation by that dancer of proof of such dance-related expenses. Such funds in the hands of the Association shall constitute a trust fund with which the Association may not interfere unless the dancer ceases to be a member in good standing, in which case the trust funds shall be transferred to the Association’s general revenue. The Board shall have absolute discretion in the disbursement of all prize money. 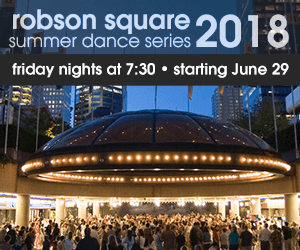 The Board, or, with the Board’s express prior approval, one of its committees, may award variable travel and accommodation subsidies to selected amateur couples to attend a dance event in British Columbia or the Yukon. 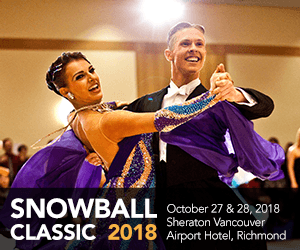 The amount of these subsidies will be based on the marketing and competitive needs of DanceSport BC; these needs may include providing challenging and comprehensive competitions in British Columbia and the Yukon and providing DanceSport BC members with exposure to extraprovincial styles and standards and opportunities to acquire valuable skills and information.